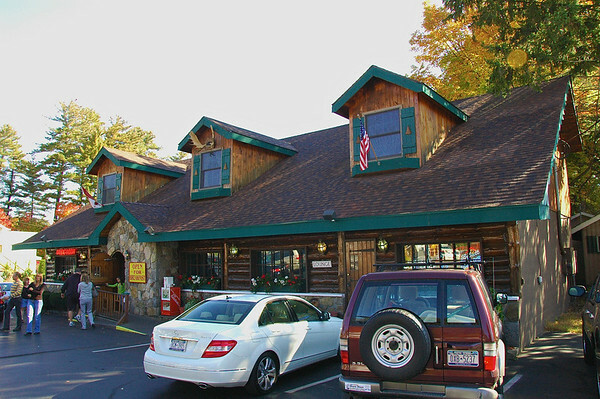 Enjoyed a late breakfast at the Tamarack Inn in Lake George on my trip. 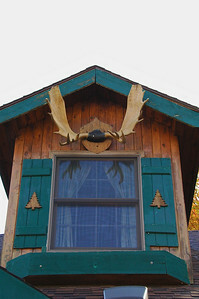 Decorated as a rustic hunting lodge both inside and out (hey, any place that uses moose antlers wins me over). The ambiance is very woods-y. The food, hearty and filling with a nice touch of grease and fat. 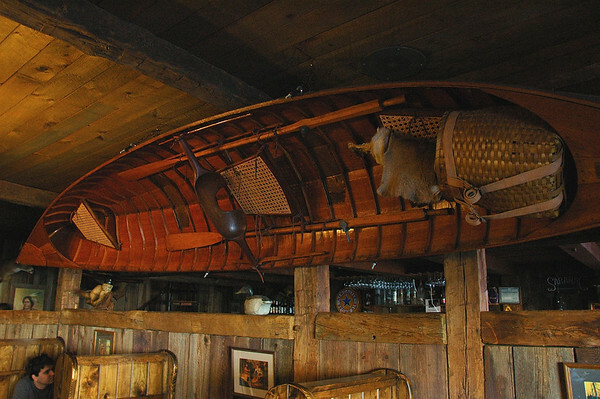 Doesn’t everyone have a canoe decoration hanging from their celing? 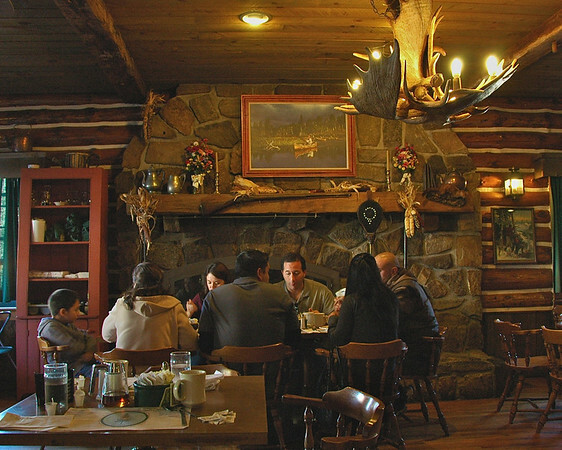 Can’t get more rustic than this, my friends. 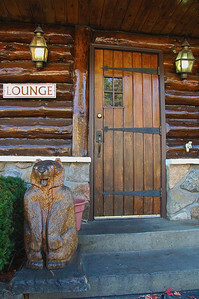 This entry was posted in Photo Essay, Travel and tagged adirondacks, breakfast, food, Photography, restaurant, rustic, wood. Bookmark the permalink. 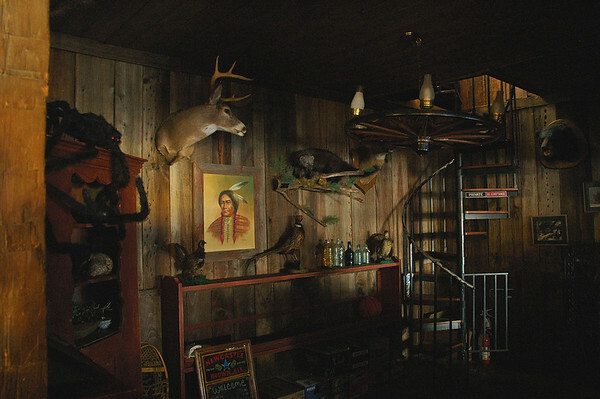 Now why can’t I find a place like this in Canada, almost worth driving east to sample that ambiance. Ya’ll ain’t gonna believe this sh*t, but the closest thing we got to that nice lookin eatery is Cracker Barrel on the side of I-4 in Altamonte Springs, FL. Keep the photos coming – I really look forward to them. 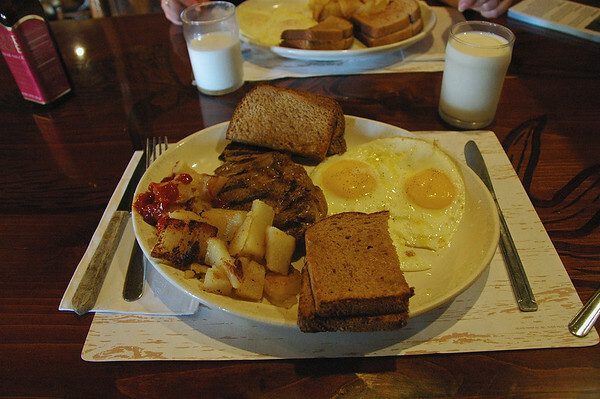 Great photo eassy of taking breakfirst at The Tamarack Inn. Your site has lots of useful info and tips on how to take good photographs. Hope you don’t mind I blogroll your site. Not at all Chris…I’ll be happy to do the same. Breakfast? That would keep me going all day!